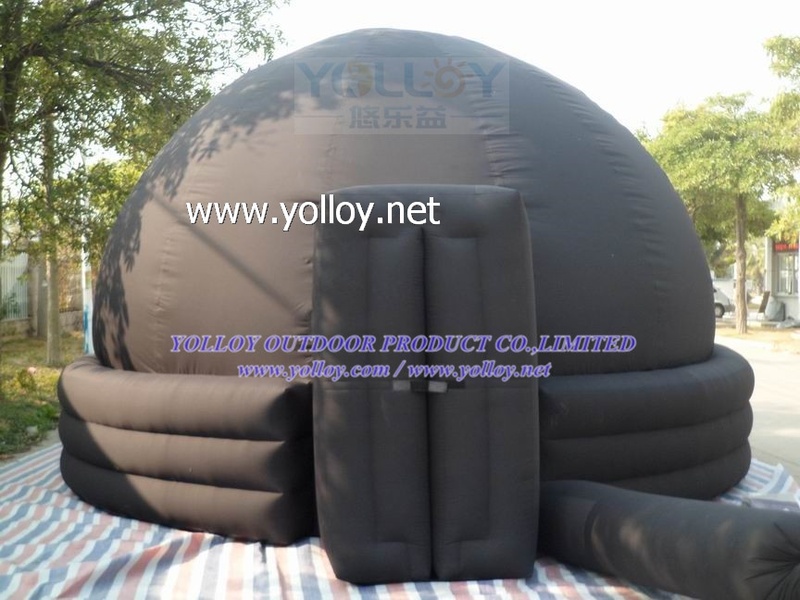 sky planetarium dome tent is widely placed in all kinds of indoor or outdoor movie, different size for room requirement. It is very popular for school planetarium movie education. People wil have a strong vision impact for the planetarium dome tent movie. There is an entrance for people walk in and out. we also can make the dome in dark blue color, please see below photo for ref.